Synthetic or natural? Which are better? On the one hand, we would like to provide our body with a balanced diet of all natural nutrients. On the other hand, heavy training, stress and the usual lack of time for taking care of every meal, or current dietary requirements (eg diet reducing the amount of subcutaneous fat tissue) force us to reach for additional supplementation, which will supplement the increased demand of an amateur sports body for all necessary us vitamins and minerals. It is no secret for anyone that modern farming methods have adversely affected the nutritional value of our food. We eat innumerable vegetables and fruits, grown to yield the best yields, have a nice and tasty appearance, due to the appropriate processing technologies have as long as possible, while little attention is usually devoted to maintaining their nutritional value. Also the soil on which they were grown can be often sterilized from natural nutrients, but it is saturated with pesticides (plant protection products), artificial fertilizers and heavy elements from industrial pollution. Therefore, buying even the most beautiful looking vegetables or fruits, and not knowing their source, we should be aware that our diet may lack many nutrients. We should also take into account our above-average demand for these ingredients because our body is subject to above-average physical effort – which is the practice of strength sports. Do most of us realize that every day we consume highly chemically processed food with a very long shelf life, covering up with the lack of time we eat meals in fast food bars, which use the most chemically packed semifinished products for their dishes as it is only possible, so I completely do not understand the fear of some people against the multivitamin in the tablet? Before we make decisions about additional supplementation, we propose to realize what vitamins and minerals are for our system. Vitamins are organic compounds that are not a source of energy (they do not belong to proteins, fats or carbohydrates) or a structural component of the body’s tissues, are essential for maintaining health and proper conduct of all metabolic processes. Vitamins are part of enzymes that are in our bodies catalysts (accelerators) of countless biochemical reactions. Enzymes are responsible for the regulation of many processes for the transformation of various substrates into forms of energy, for the body building processes of tissues, for regeneration and growth. Really thanks to them, our body can function normally, develop itself, as well as defend against bacterial threats from the outside. Minerals fullness in our body also many vital functions. They are building materials for bones, teeth, skin and hair (calcium, phosphorus, magnesium, fluorine). They are part of compounds of basic importance for the functioning of our body oxygen carrier – hemoglobin (iron), hormones – testosterone, insulin (zinc) thyroxine (iodine), high energy compounds ATP (phosphorus), enzymes and other metabolic activators (magnesium, calcium). They also play a fundamental role in maintaining the proper water balance and the acid-alkaline balance of our body. (Sodium, potassium, chlorine). Do we eat enough vegetables and fruits? Do we add vegetables and fruits to each portion of food? (It is recommended to consume 5 portions of vegetables and fruits per day). No other food group is able to provide such amounts of natural vitamins and minerals. Do we eat fresh vegetables and fruits? (Steam cooking is allowed). Do we eat whole grain products? (And not just white rice for every meal? How do I know it so well?) It’s just whole grains that provide large amounts of B vitamins as well as a certain amount of macro and microminerals. Do we eat enough unsaturated fatty acids? Contained in healthy cold pressed vegetable oils (omega-6) and fatty fish (omega-3). Do we keep the right balance between them? Does one of our daily meals contain calcium-rich dairy products (milk, yogurt, kefir, white cheese)? If our answer to even one question is “not the first thing we should do is to set the menu properly, because even the best multivitamins can only support the correct diet, but they can not replace it. How to decide which preparation will be the best and at the same time we will not be threatened with overdose? If we have already made the decision about additional supplementation with vitamins and minerals, we face a myriad of supplements. How do you choose the right one for such a large choice? The best and at the same time the best absorbed by our body. The law prohibits manufacturers from placing information on their products that could mislead the consumer. However, many companies on their products include subtitles advertising the product as “vitamins and minerals obtained from natural sources”. The above wording suggests that vitamins obtained from natural plant products are “better than those obtained in the laboratory. Is it really? Well, one must take into account the fact that most of the substance, regardless of the source of its origin, means also “synthetic” and “natural” are subject to specific technological treatment, they can also be modified to extend their durability. 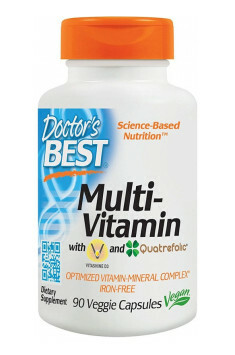 In addition, even these “naturally obtained vitamins must after all contain substances that stick them (they clink into a tablet, or capsule), they conserve (because natural vitamins are extremely unstable) and how often they contain chemical compounds that facilitate their absorption in the digestive system. However, synthetic products may have higher concentrations of active substances, they also have higher resistance (durability) to external factors (light, temperature differences) than their natural counterparts. In fact, the chemical structure of most vitamins, both natural and synthetic, is the same, and our body is unable to distinguish their origin. The differences depend only on the forms of their administration. Considering the above theorem, this information about the natural source of origin is no longer so important, and is only a good advertising gimmick. You can read also: How does vitamins become active?